Welcome to the Vapor Puffs guide on how to use the EMOW Vaporizer. This guide will start with an introduction into the components of the EMOW and then move onto showing you how to use it. 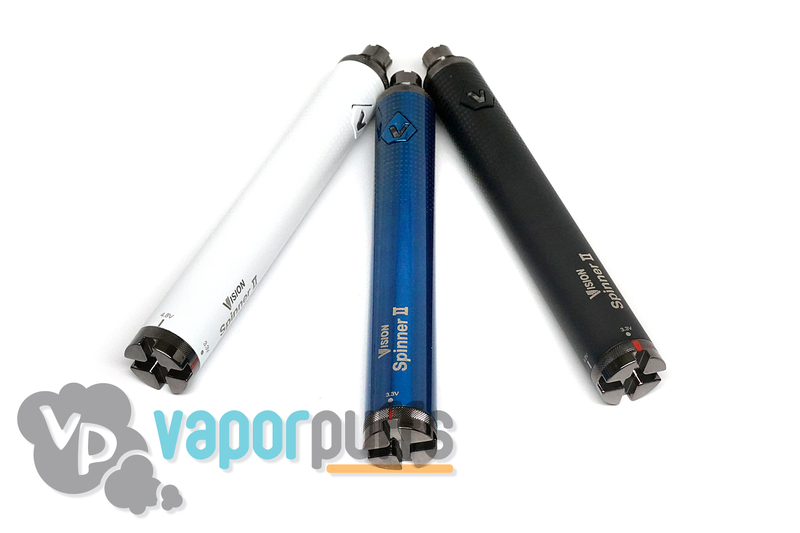 The EMOW came out as an evolution of the EVOD, which was one of Kanger’s most popular vaporizer pens. Kanger wanted to make another easily accessible vaporizer pen but add new features to it, such as Variable Voltage. With this idea in mind, the EMOW was born along with it’s sister product, the EMUS. Let’s take a look at the parts. Atomizer Tank – The EMOW uses a specially made Aerotank atomizer, but can be used with any 510 or eGo Atomizer. The Tank can be accessed by removing it from the Threading Connection underneath it. Coil Unit – This part cannot be seen without removing the Atomizer Tank. The Coil Unit is a stainless steel stick that contains the wicks which will soak and heat up the eliquid contained within the Atomizer Tank. You can replace it by twisting it counter-clockwise, inserting a new one, and twisting that one clockwise until it feels firmly locked. Airflow Ring – This is the upper silver ring that has a slit on it. You can twist the ring to allow more airholes to see light, changing the feeling of the pulls you take from the EMOW. Threading Connection – This is the lower silver ring. This ring is contains part of the threading that connects to the Battery. Battery – The Battery is hidden within the longest part of the EMOW and can not be accessed. It’s charged by connected it to the USB connector through the threading connection on the top of the Battery. Power Button – Finally, there’s the power button. It’s on the face of the battery hidden underneath the paper wrapped around the EMOW when you first buy it. You use this to turn it on, turn it off, adjust the voltage, and start the vaporizing process. Most first time vaporizer users have some trouble turning on their products, so if you’re having trouble let it be known that you’re not alone. Unlike other products that turn on with a switch, or by holding a power button, the EMOW (and most digital vaporizers) is turned on by pressing the power button 5 times in rapid succession. It’s turned off the same way. This is done as a safety feature and in order to allow the EMOW to reach higher temperatures. Leave the EMOW turned off for now. While holding onto the two silver rings, twist the Atomizer Tank counter clockwise. This should reveal the Coil Unit as well as show you the inside of the Atomizer Tank. Take your Eliquid of choice (not contained within the EMOW kit) and drip it against the sides of the Atomizer Tank, and not the tube in the center. That tube in the center goes through the mouthpiece, dripping in there will result in the Eliquid just coming out the other side. Fill the Atomizer Tank to your liking, but do not let the Eliquid go higher than the height of the tube in the center. Then, line up the Coil Unit with the center of the tube and reattach the Atomizer Tank to the rest of the EMOW by twisting counterclockwise. Now just turn on the EMOW using the same method outlined above, by pressing the Power Button 5 times in rapid succession. With that done, the Power Button’s LED lights should go off just a second after you release the button after the 5th push. 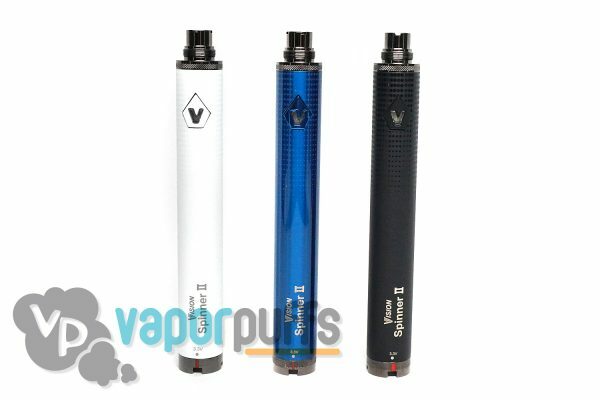 For those looking to customize their vaping experience, the EMOW offers a variable voltage system which can be adjusted though the power button. By changing the voltage, you change the temperature within the atomizer and that will change the vaping experience. In order to adjust the voltage, press the power button 3 times and then wait a second until a color flashes. You can keep track of the voltage your using based on the color. For reference, White is 4.8 V, Green is 4.2 V and Red is 3.7 V. The higher the voltage, the higher the temperature. Bring the mouthpiece up to your mouth and hold down the power button. It should light up as you hold it, letting you know that the vaporizing process has begun. Within seconds you should begin to feel the vapor coming out (although you may not see it). From here on, everything should come naturally. Thanks for Reading Our Guide On How To Use The EMOW Vaporizer! We hope you’ve got a full understanding on how it works and how to use it. Welcome to the Vapor Puffs guide on how to use the G20 Vaporizer! We’re going to begin by breaking down the components of the G20 and then going through how to use it. The G20 is a dry herb vaporizer pen that has a built in screen over a coil in order to vaporize your dry herbs. Each G20 box comes with two vaporizer pens. Mouthpiece – This is where your mouth will go. You can remove this part by pulling it in order to reveal the next part. Heating Chamber – You’ll be putting your herbs in here on top of the screen found when you remove the cap. This piece can be removed from the battery by pulling up from the silver ring. Power Button – This is used to turn on the G20 and start the vaporizing process. Battery – This part is inaccessible by the user but it’s the entire part connected to the power button. It can be charged through the small port on the bottom. The G20 is turned on and off by pressing the power button 5 times consecutively and rapidly. You’ll know that it’s on when you see the power button blink a few times. This method can seem confusing to first time users of vaporizers but the reasoning is sound. It allows for a greater output from the battery and is an additional safety feature to keep the G20 from turning on without your knowledge. Pull the Mouthpiece off in order to reveal the Heating Chamber. Remove the cap on top of the mouthpiece so you can see the steel mesh screen inside. Fill the heating chamber by placing your dry herbs directly onto the steel mesh screen. Fill it up about halfway with dry herbs and then put the cap back on top of the Heating Chamber. Then place the Mouthpiece on top of the Heating Chamber. Like it is mentioned above, press the power button 5 times consecutively and rapidly in order to turn on the G20. Hold up the mouthpiece to your mouth and hold down the power button. From here on, everything should come naturally. Repeat these steps until you’re finished. Thanks For Reading Our Guide On How To Use The G20! Welcome to the Vapor Puffs guide for how to use the Vivi Nova Atomizer. We’re going to start this guide by breaking down the components of the Viva Nova Atomizer before moving onto how to use it. What is the Viva Nova? Mouthpiece – This part is found at the top, it’s also removed in order to fill the tank up with eLiquid. 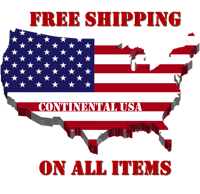 eLiquid Tank – This is the clear tank where all your E-Liquid will go. Coil Unit – Found inside the eLiquid Tank, this part can be accessed and replaced by removing the Threading Connection. Threading Connection – This is the bottom of the Vivi Nova atomizer, it’s used to connect to the Threading Connection on a battery. Remove the mouthpiece at the top of the Vivi Nova by pulling on it while twisting. It should pop right off. While using your dripping tool, drip your eLiquid against the sides of the eLiquid Tank. Do not get eLiquid directly into the tube at the center of the opening, that tube will just cause the eLiquid to come back through the mouthpiece. Once you have filled it up to your liking, reattach the Mouthpiece. Connect the Threading Connection at the bottom of the Vivi Nova to the Threading Connection at the top of your battery. Once it’s connected, turn the battery on. Now that the Battery is on and the Vivi Nova is full, just hold the power button and begin the vaporization process. Everything should come naturally from here. If you need to refill the eLiquid Tank, just repeat the first two steps. Thanks For Reading Our Guide On How To Use The Vivi Nova Atomizer! We hope we’ve helped you make use of it.